Equality of employment opportunities for young Roma is fair and just, but also a smart economic choice: It is an effective way to improve growth prospects and respond to the demographic challenge of rapidly ageing populations in EU Member States. Investing in young Roma breaks the cycle of poverty, discrimination and exclusion. It can yield high returns and can deliver the kind of lasting change that many policies and programmes have so far failed to achieve. 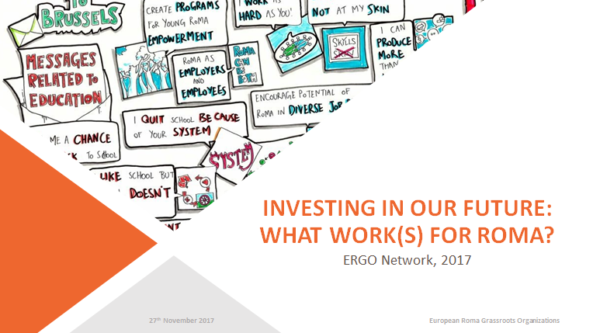 At ERGO’s Public Event, we will discuss the issue with representatives of the European Commission, European Parliament and Council of Europe, present qualitative research done by ERGO members in five EU member states on youth employment measures and launch a campaign to mobilise support for investing in employment opportunities for young Roma. 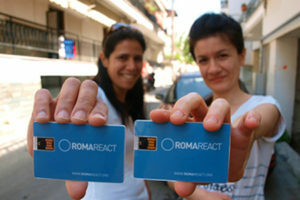 The campaign will be centred on views and messages of young Roma themselves. We aim to convince decision-makers to support employment of young Roma and break the stigma that Roma do not want or can work. The campaign aims to make clear that young Roma want to work and can have opportunities, if sufficient investment is done and they receive the right support. Please confirm your participation by 21st November here. 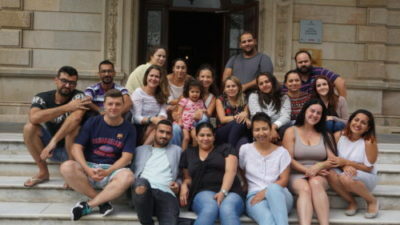 In ERGO’s Summer Academy, taking place from 26 August to 2 September in Barcelona, a group of outstanding participants from across Europe joined forces to work together on a thematic campaign to raise awareness on Roma youth unemployment. The one-week long ERGO Summer Academy hosted 19 young professionals alongside the team of ERGO Network and guest trainers from Greece and Bulgaria. The academy invited participants to join as experts from ERGO member organisations, other Roma NGOs and local or national administrations to discuss emerging issues of social exclusion, education and employment, and what a multi-stakeholder agenda for quality education and better employment can achieve regarding Roma youth. Raising awareness on the plight of Roma youth employment has never been more important: 58% of Roma aged 16 to 24 are not in employment, education or training. At the same time, in countries such as Romania or Bulgaria up to 20% of new labour market entrants are Roma. The new financial cycle of the European Commission will start in 2021, thus reminding decision-makers on what is at stake is of great importance. 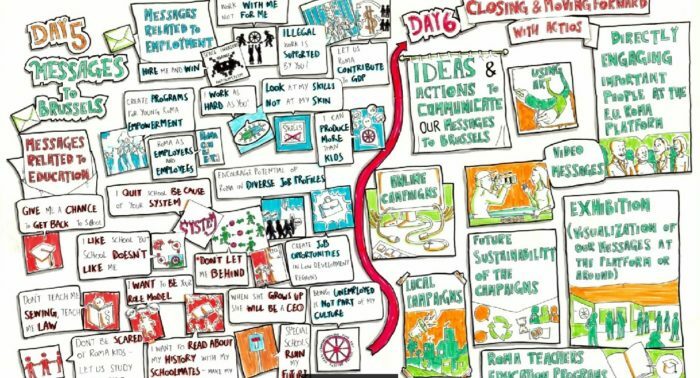 The participants used the Academy to create an awareness raising campaign that will be launched at this year’s EU Roma Platform in Brussels. 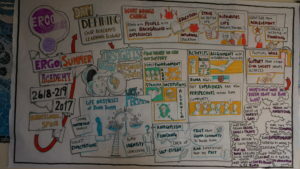 The work started with differentiating the terminology and discussing the issues relevant to the context of employment. 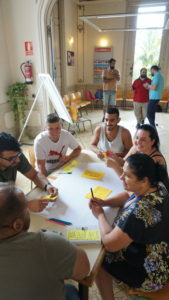 After hearing experiences and personal stories of participants, the group gained first-hand knowledge on the employment context in Barcelona through the initiatives of `FAGIC`, a Catalonian Roma network. To conclude the learning part of the week, Leonor Rebassa from Amnesty International introduced the group to all to the very details and best practices of thorough campaign planning. 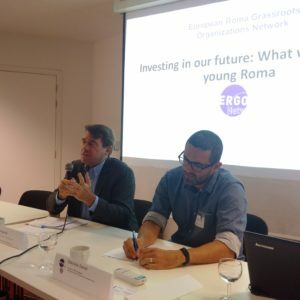 In the second half of the week, innovative ideas for an ERGO youth employment campaign were brought to the table from working groups. In the last two days, it started to be clear what the campaign will look like, and finally, 4 initiatives made it to realization. They will be launched at this year’s European Roma Platform, which will be held in Brussels on 27/28 November on the topic of ‘Transition from Education to Employment’. 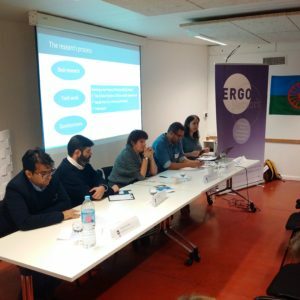 ERGO’s campaign will focus on antigypsyism and discrimination on the labour market and addresses decision-makers and employers from the perspective of young Roma themselves. Besides all their hard work, the participants of the event soon acclimatized to the fantastically located venue of Mare de Deu del Coll, and enjoyed mid-summer heat from the very early mornings till late nights that left enough time for networking between ERGO’s members and making new friends. Not only the sea at Barceloneta, but the whole week has been a refreshing experience to all participants.